Regina (Regi) Richter was born and raised in Germany. Her father was an avid horseman and Regi’s first instructor who taught her about natural horsemanship long before it was popularized. 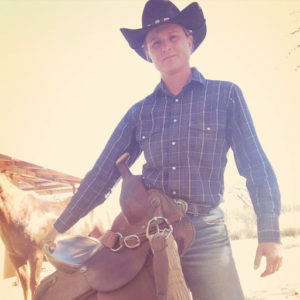 She spent her entire childhood and most of her teenage life in the barn with their four horses practicing and perfecting her natural horsemanship talents. Regi started her first mare under saddle when she was 12 years old and at the age of 16 she began to accept outside training horses and give riding lessons. As an adult Regi studied law in Germany and practiced in Germany & Switzerland for 10 years as a criminal defense and a business lawyer. She also taught law at several Colleges abroad. 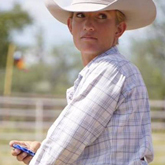 In 2012 Regi decided to change her life and follow her heart- so she left Germany and her lucrative career heading for Tombstone Arizona to train horses again. 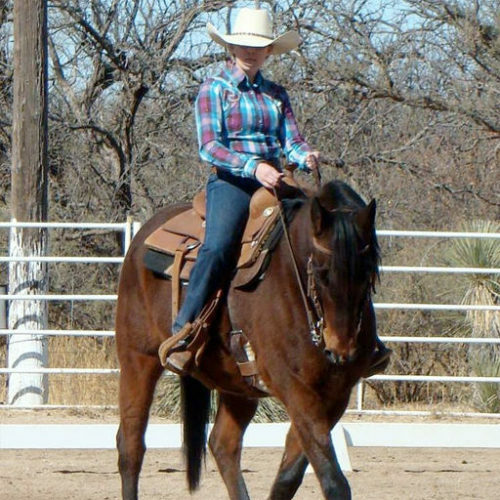 Regi’s greatest asset for her students is her undying passion for horses and natural horsemanship. 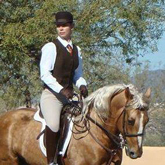 She moved to Arizona and started helping horse owners to better understand their horses to build trust and confidence so that both parties are able to enjoy each other’s presence and work together as a team. Regi’s three greatest equine passions are colt starting, problem solving, and Eventing. 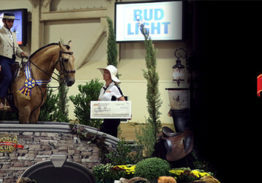 Regi was a 2016, 2017 Mustang Makeover Competitor, competes at Beginner Novice with her 2017 Mustang Makeover Mustang Madame Millie, and is representing the J6 Ranch Equestrian Center in the 2019 Arizona Horseman’s Challenge. Regi Richter is a certified equine Massage Therapist and is currently taking clients.